It took me far too long to get this story down, mainly because our chicken situation is abnormally complex. I’m not sure how that happened, but it did…. Last week, due to a communications mix-up between my older boys, our pet flock wasn’t shut up at dusk as is our habit. Jonny and I were up late that evening, and about midnight it occurred to me that just such a mix-up might have occurred. 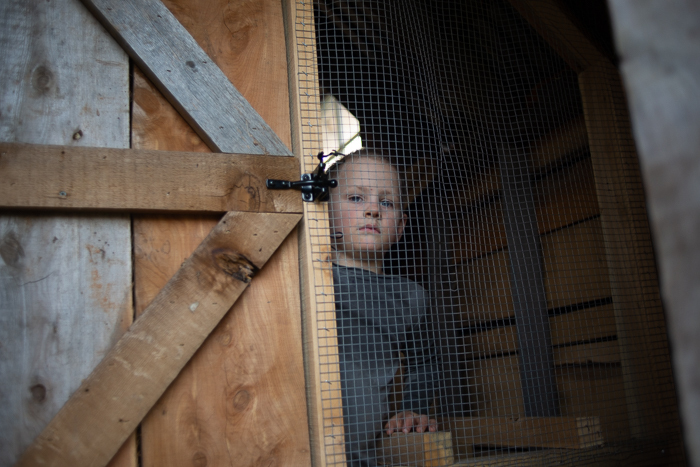 Jonny went outside, and sure enough the door to our smaller flock’s coop was open. Jonny shut it, and we assumed all was well. The next morning, I looked out the window and noticed what appeared to be feathers surrounding the coop. I can’t remember who went out to investigate first (I’m squeamish, so it wasn’t me) but one of the boys came inside to deliver the grim details. Evidently, by the time Jonny had closed the coop the night before, it was too late. Of one rooster (our big buff orpington, Wattles) and nine hens, only Wattles and two hens remained. Included in the carnage were the two babies that we so enjoyed watching grow up last year. The two that Mama Hen (snatched in an earlier raid) so carefully raised to adulthood last fall. (Photos of them here, here, and here.) Four of the hens were gone completely, and the other three bodies were scattered about. I cried like a baby, even more so than my girls. That flock has been with us for so long, and I just felt such a sense of loss in addition to guilt, because we failed to keep them safe. Over the days that followed we used those poor hens’ bodies as bait in a few traps that we set out. One at a time the bodies vanished, but the traps were left empty. Two of the traps I can understand something being able to escape from if it tried hard enough. They are made for trapping feral cats, not wildlife. 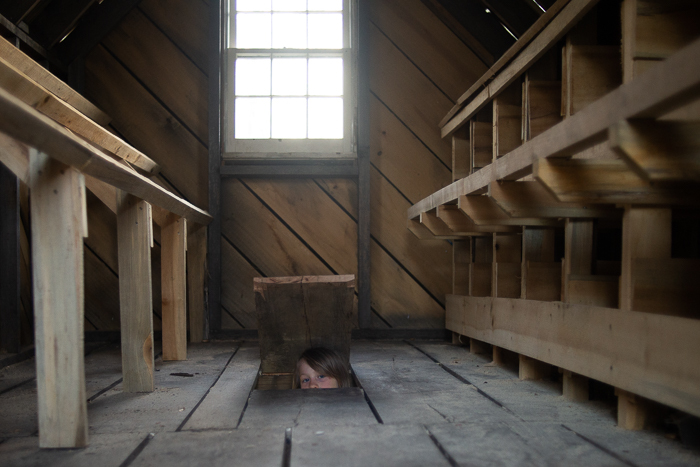 But the third trap, a nice big sturdy one, how something escaped from that is a mystery to us. Whatever it was, it did a lot of digging next to the trap before finally going in the entrance to grab the chicken. It must have been large enough to crawl in and grab it with it’s back end stopping the trap door from closing completely. We believe it could have been a coyote (we’ve heard them in the area, but not seen them), though we suspect it was a raccoon in the initial raid, owing to the fact that dead hens were left behind. Of course, these are all just guesses. We just don’t know. There has definitely been some good to come out of the situation. Jonny spent every spare moment last week working on the giant portable henhouse he began about three years ago, at our old house. (Gabe put in quite a few hours as well.) 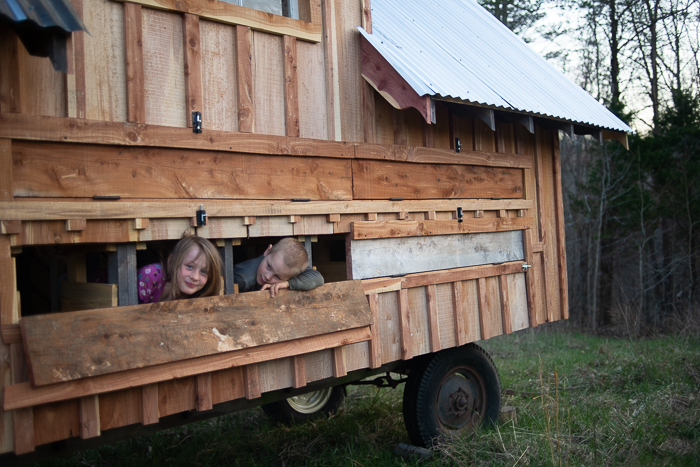 It is constructed entirely of lumber he milled himself on an old hay wagon frame he purchased on Craigslist. 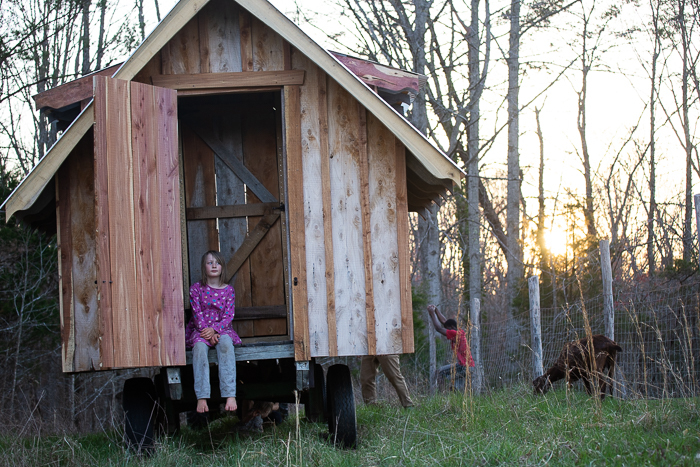 He finished it a few nights ago, pulled it down the hill into the backyard, and we moved all the big flock except Larkspur’s black copper marans into it. 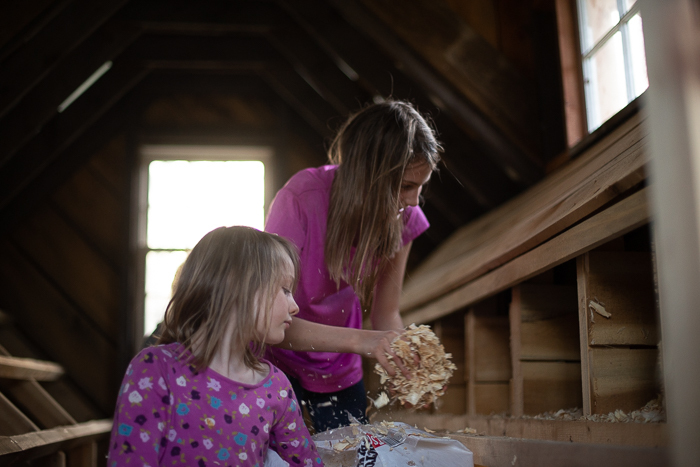 Her chickens will remain in the coop that the big flock was living in. 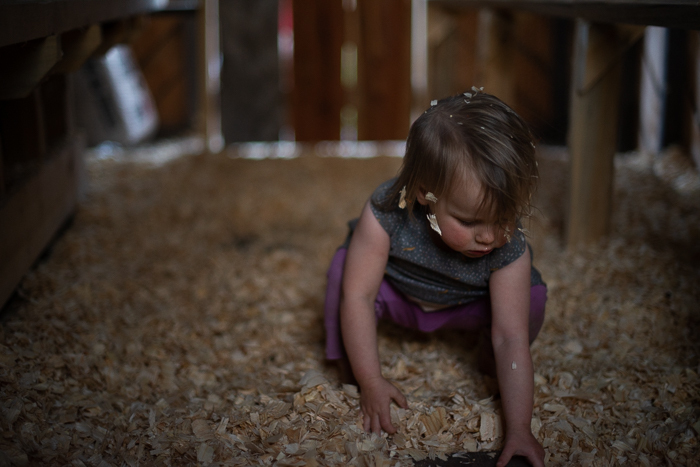 Just over a year after she received the chicks for her birthday, she can finally begin caring for her own flock, separate from the rest. She is so very happy about that, and checks on them all day long. I don’t think she understands how blessed she is. But someday she might look back and realize. 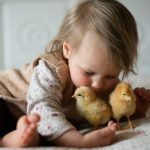 She’s studying (affiliate link) Gardening with Chickens, and planning all the herbs she wants to grow for her little flock. 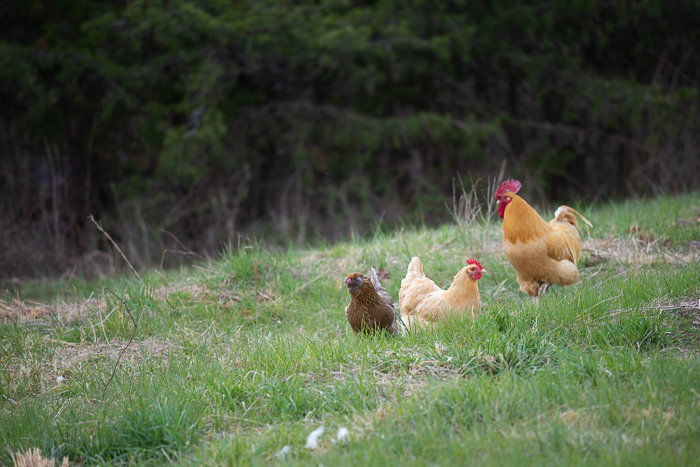 The other happy news is that in the days after the raid, a chance stop at the farm store yielded new chicks… A few will supplement Larkspur’s flock, a few will go to our little pet flock, and the remaining dozen or so will join our big flock. My bathtub does its best work as a brooder, and as Beatrix stated so well, “It just isn’t spring without chicks.” At night, when I wake to tiptoe to the bathroom, I don’t have to flip on a light. 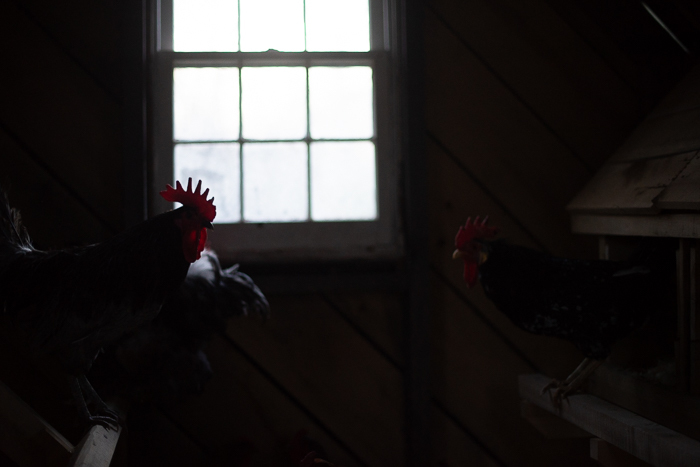 The warm red glow of the heat lamp lights my way, and everything feels right in our little chicken world. P.S. 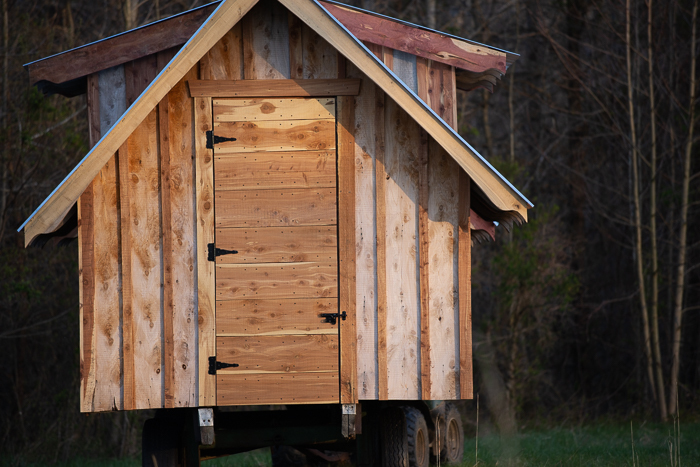 For those of you who are interested, here are links to all the chicken coops/henhouses that Jonny has built over the years. This was our first coop at our old house. That one is stationary and was left behind when we moved. 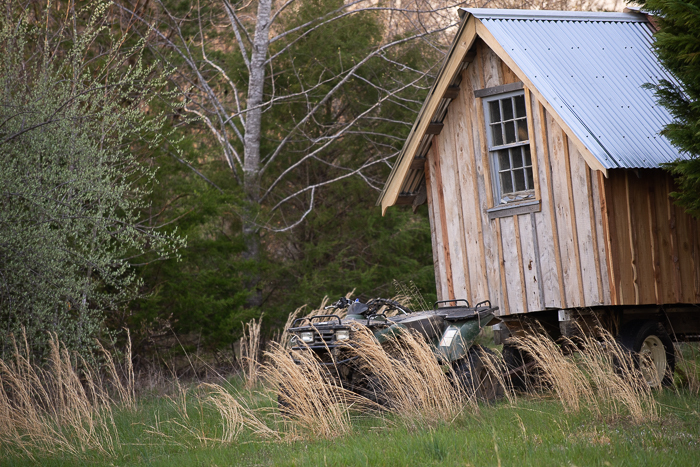 The following houses were built after Jonny bought a sawmill and started using his own lumber. This was the small one that we moved around on our garden beds there. It now houses Wattles and his two remaining hens at our new house. 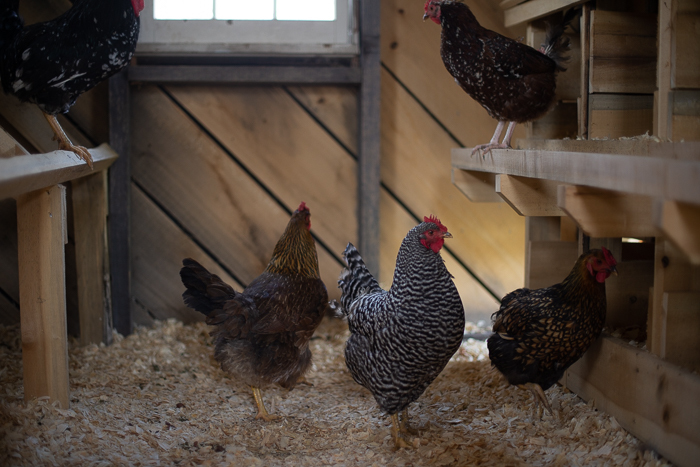 And if you scroll through this post, there are photos of the “bacon coop” that Larkspur’s black copper maran flock is living in now, the house that the entire large flock was living in up until last week. 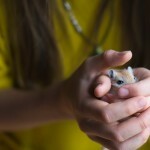 Hi Ginny, I stumbled across your blog last year after my other half passed. I can not tell you how humble it makes me feel. Love how open you are in sharing your life. 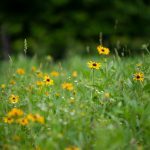 Your blog has such a warm cozy feel, it’s like taking a step back in time. 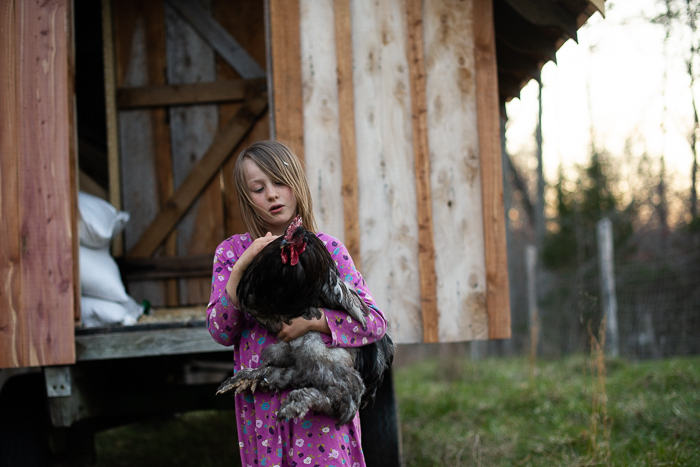 I understand how you feel I raise chickens also…a hawk got one of my girls last fall although she survived it was a heartbreaking experience. It’s so nice to see kids raised on a farm. Thank you for being you. Your coop is beautiful! I wish we could build something that nice! 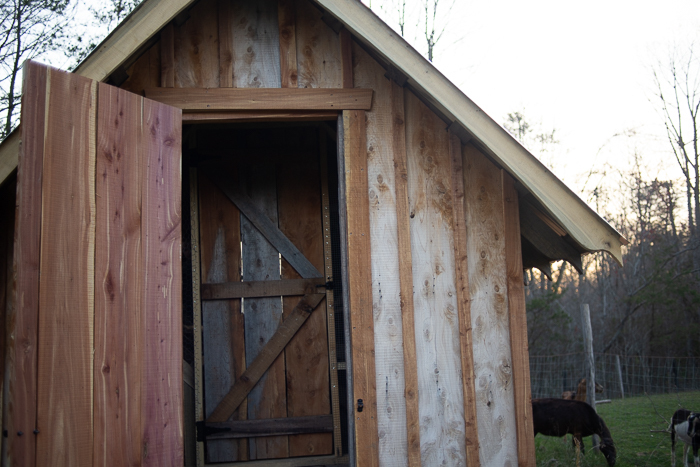 For what is worth, all of our chicken coop building and improvements have come post-attack from a predator. It seems to be what finally inspires us to get moving. Sorry about your loss. 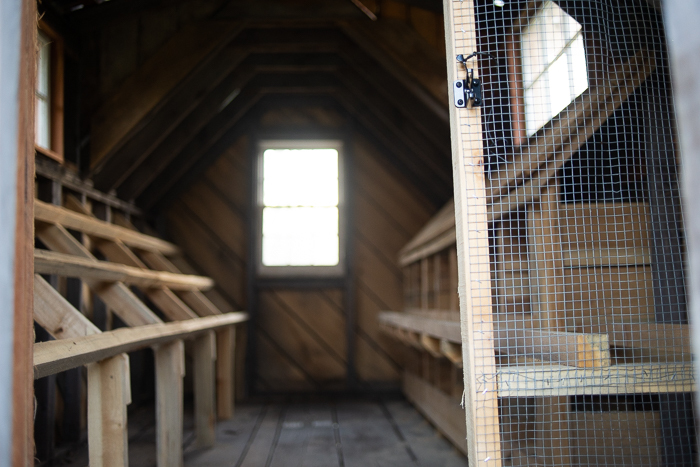 The only chicken I bawled my eyes out about is the one we lost when we forgot the lock the coop and a raccoon got in. I felt so guilty for her death. On a happy note, Jonny did an amazing job, what a great coop! We have had trouble with raccoons eating the bait in our traps and escaping. (They love cat food and marshmallows, which is weird and disgusting.) We eventually had to stay up late, staring at the trap, and personally dispatch them. I’m so sorry to hear about your loss. 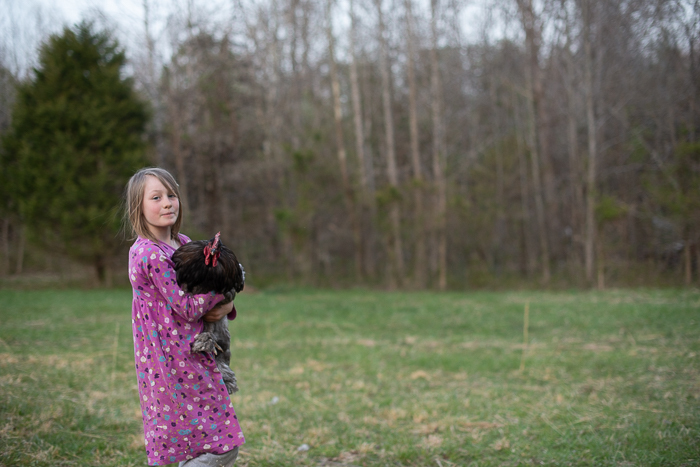 I’m not sure if you have similar creatures in Virginia, but we lost a bunch of chickens last year and the only thing we could figure was that a martin got them. They are part of the weasel family and were able to get in and out of our enclosures when it looked like literally nothing had been touched. Aw, Ginny, I’m sorry to hear that. I can imagine how sad the boys must have felt. The coop is absolutely gorgeous. That Jonny. He can build anything. Sorry about your loss. Happy that Larkspur will be able to take care of her own. Love the photo of Mabel with the hay in her hair. So sorry about the loss of your chickens; we had a raccoon destroy most of our flock s few years ago and it was devastating. 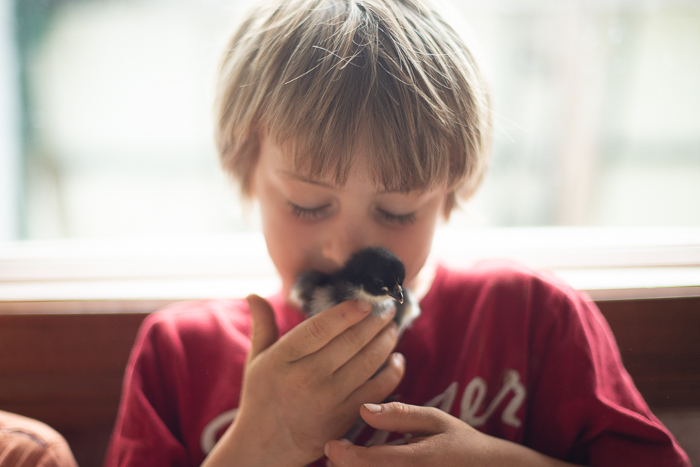 Jonny makes such beautiful coops—this was perfect timing because we are getting ready to add a dozen new chicks and his work is so inspiring! What a shame about losing the chickens. Sorry that you lost them. So sorry about the loss of the chickens. I am SO sorry to read this ….. it makes my heart hurt. But SO happy there was good to come from it ……. 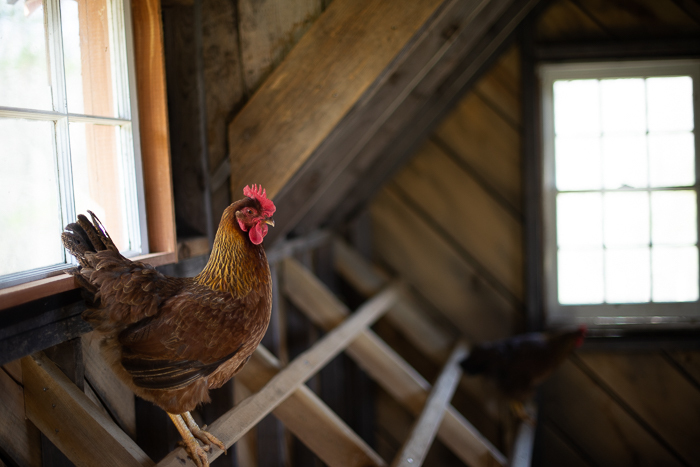 When I purchased my coop and started with chickens ….. I just thought it would be fun and I would receive eggs. I never realized what, fun, wonderful creatures they are ….. and what personalities they have !!!!!! I lost my 3 Wonderful, Lovely hens to a hawk and a possum ……. Oh boy! Yes we know it too well….so what we’ve learned is raccoons, skunks & weasels will mass kill & keep coming back but raccoons don’t tend to dig as much in our experience (maybe different from other people’s! )…coyotes & fox always take their prey & kill what they can take. The most cunning is the fox, they were somehow taking our chickens through the fence. So frustrating. Sorry to hear! 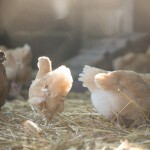 So sorry to hear about the loss of your hens, can totally commiserate. 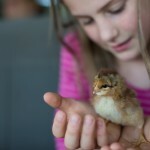 We had just bought a “new” little flock of a dozen chicks for our son’s 12th birthday. One morning he came in completely desolate. 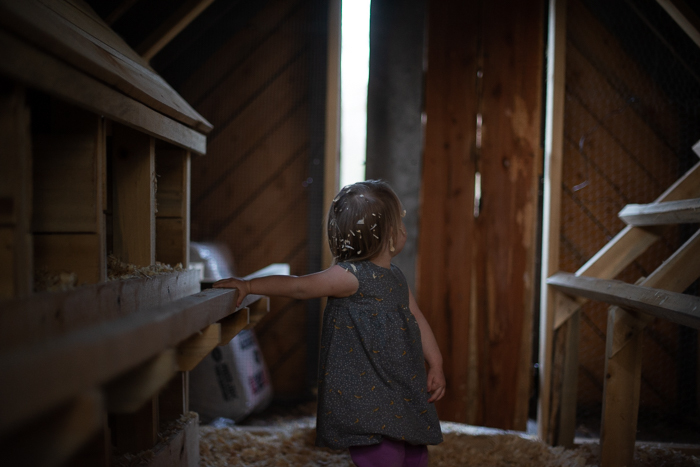 It seems that a skunk had somehow got into the coop and killed every one of the chicks. So sad for him. 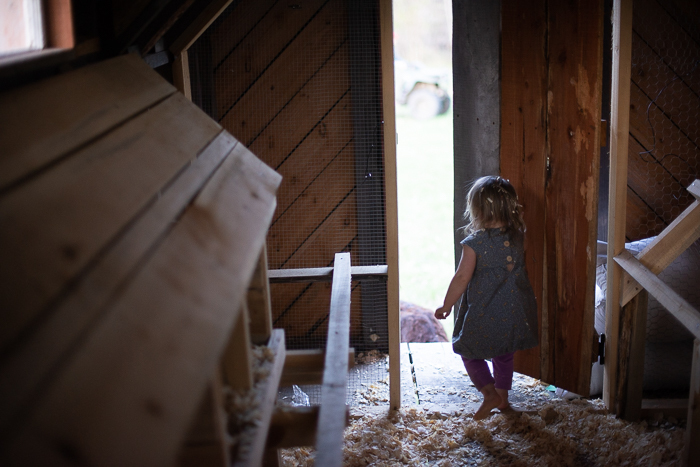 Your new coop is spectacular, I wouldn’t mind living in it myself! Just love the way your husband makes everything pretty! Such a blessing! I’m sorry for the loss of your chickens. We battled coyotes with our flock for years. 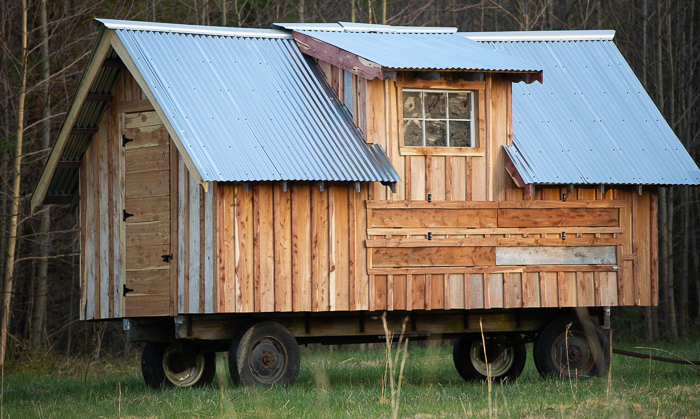 If you ever don’t have chickens you could turn that coop into a guesthouse or tiny house on wheels! It’s seriously gorgeous. 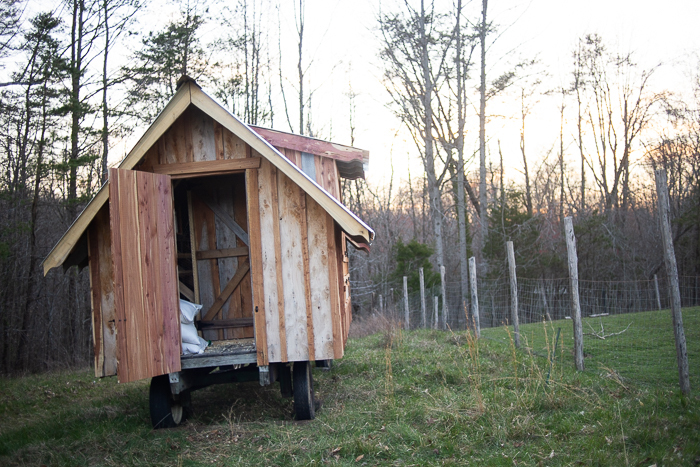 Love the bacon coop too. Losing animals is hard. I am so sorry. Love the new coop. It looks like Jonny thought of everything. 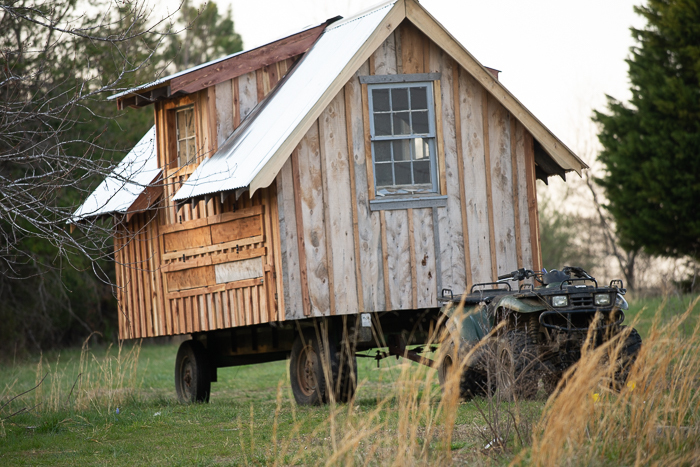 What a beautiful home for your chickens!!! They say chickens were put on earth to eat and that seems to be what all the critters want to do to them! Ours are pets and I wish the wildlife around us would understand that!!! I thought of you we went to Big Meadow a few weeks ago. I was so hoping to see some baby deer, but we weren’t there at the right time. I do look forward to going back again another time. We had such a great time in the park. I have found bathtubs to be great brooders too! The neighborhood fox killed three of our hens a few years ago and left their bodies, uneaten around the yard. ☹️ What a waste. I love your coops. I am sorry you went through the stress of predator carnage to lead you to this Most. Beautiful. Coop. Ever! It is a great motivator but at the expense of emotional turmoil. Currently, we have an ermine living beneath our coop that we are scratching our heads on how to remedy….they are adorable but vicious little clever critters. This is truly a work of art…well done Jonny. My husband also has a chainsaw mill and it has been an essential tool for our homesteading needs…affordable beautiful lumber. We have found that our Livestock Guardian Dog brings such peace of mind to the farm. She is an Akbash and a big baby to humans but she won’t let anything near our flock of sheep. 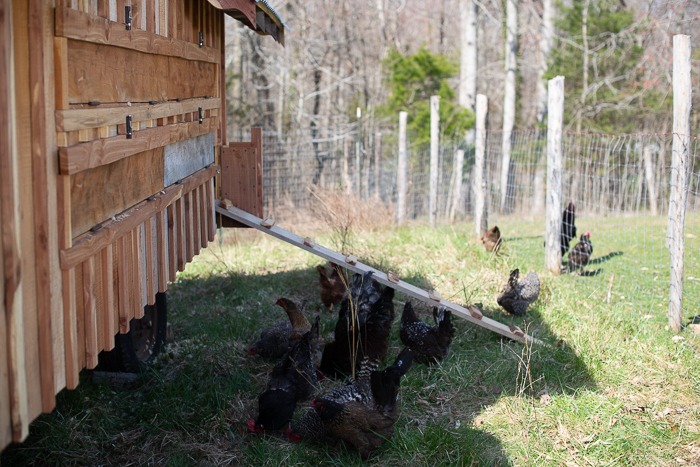 Unfortunately, our coop is a few fences away from the LGD. 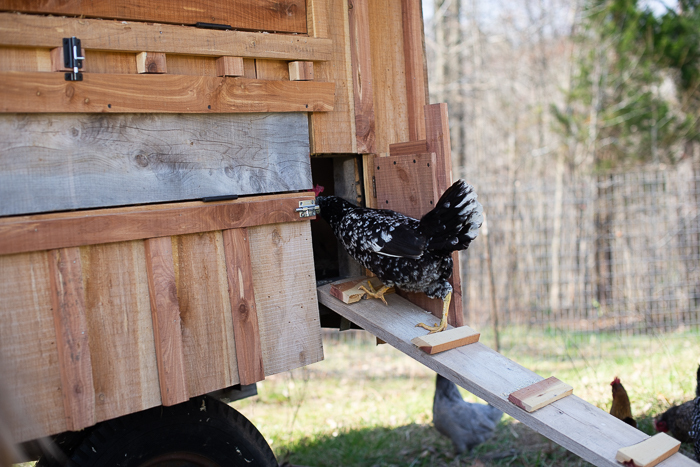 In your situation, maybe this would deter any predators during the night that threaten your chickens? Electric netting helps with the predators, but it won’t deter the most determined raccoons, we’ve found. One by one our ducks have gotten picked off!! The single remaining one has now decided she’s a chicken, and will finally go in the coop with them at night. The birds who actually go in coop at night have been safe, though!